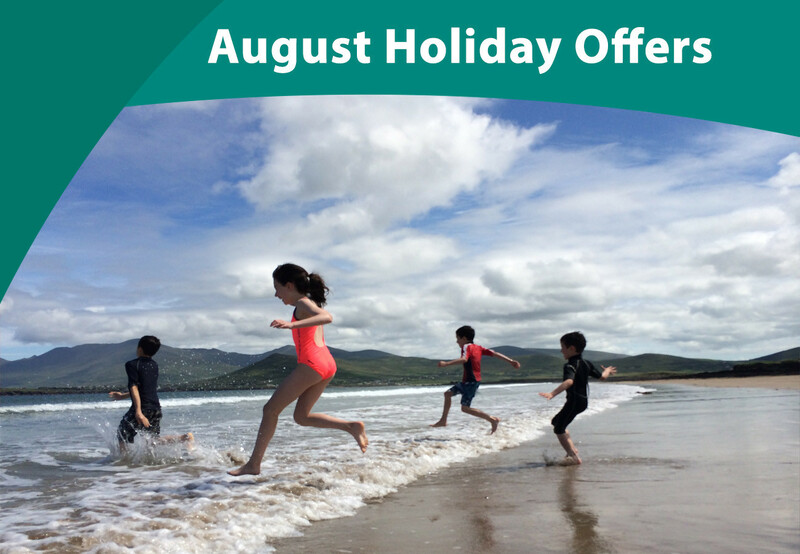 Grab a hot summer deal this August and discover Ireland for less from a Trident Holiday Home. Our self-catering holiday homes are situated in many of the country’s finest holiday destinations like Dingle in Co. Kerry, in the lively seaside town of Bundoran in Donegal or Killaloe which lies on the River Shannon in east Clare - perfect destinations for family summer holidays. We are an Irish owned self-catering holiday home company with over 30 years of experience. You can be sure we will give you the best advice, service and holiday rental properties in the country. Look out for our 'OFFERS' tab listed under each property profile! CLICK HERE to see what properties you can pick from this August to get up to 20% off when you book a 7 night stay in a selection of popular holiday destinations.